A passenger on Emirates Airlines on Thursday, slumped and died at the Murtala Muhammed International Airport, Lagos. 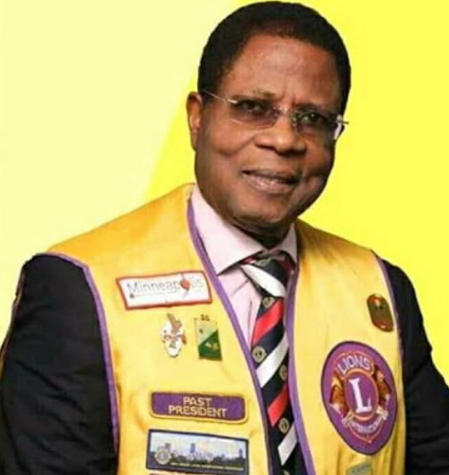 The deceased, identified as Dada Isaac Olusola, President of the Lions Club in Nigeria, slumped and died at the airport in the company of his wife and Lions Club members, as they arrived in the country aboard an Emirates Airlines flight from the United States. According to SaharaReporters, the plane had a stop-over in Dubai before connecting to Lagos. The team had gone to the US for a Lions Club conference. A source close to the scene of the incident at the airport confided in a correspondent that at 16:18 hours, the passenger slumped at the checkpoint screening where he was attended to and given medication by airport clinical personnel. The source disclosed that by 17:34 hours, the passenger was later pronounced dead in the presence of his wife and members of the Lions Club who accompanied him. Another source disclosed that the deceased was pronounced dead by one Dr. Abdullahi of Lagos Airport Clinics, adding that Mr. Olusola might have died of cardiac arrest. “The passenger was accompanied by his wife and members of the Lions Club. His remains were later taken away by his wife to the morgue at 18:00. Someone later informed us that the passenger and wife had arrived from the USA,” the source told a correspondent. However, the media consultant to Emirates Airlines in Nigeria, feigned ignorance of the death and when a correspondent probed further, the media consultant promised to get back, but has yet to do so as at the time of publication.